Arjan is the founder of InspireShift, a boutique leadership consulting firm specializing in executive coaching, career development and organizational consulting. Arjan is a certified executive coach, a sought-after speaker, and an engaging facilitator. She adeptly collaborates with the Human Resources departments of major corporations and also engages with clients on an individual basis. Arjan partners globally with C-suite executives, senior leaders, high potential middle level managers, and founders of start-up organizations to define and attain their leadership and business objectives. Arjan is an expert in leadership development, female leadership, communication, emotional intelligence, mindset, personal branding, and career transition. On an organizational level, she focuses on 360 degree feedback processes, team alignment and cultural change. Building a deeply personal rapport with each client, Arjan helps to advance her client’s already highly respected career to one that is both impactful and personally gratifying. She supports her clients to develop an authentic leadership style and increase their leadership effectiveness as well as the effectiveness of the teams and the organizations they manage. Often, she serves as a sounding board for executive leadership. "Arjan combines a high measure of gravitas, a refreshing straightforward approach and a deep level of compassion with an acute business sense. She provides sharp insights, practical advice and honest feedback, which was pivotal to rethinking and improving my communication style. Through her expert guidance, I evolved my leadership style and executive presence. Arjan is brilliant, but humble; visionary, but grounded; logical, but intuitive." "Arjan is a phenomenal executive coach. She has profound expertise in leadership development, communication and emotional intelligence. Arjan helped me create successful frameworks for solving the most complex strategic and human resource challenges. She is insightful, articulate and has a deep commitment to excellence. I have become a better leader as a direct result of our work together." "Arjan has been a strong partner to our company and to many of our executives she has supported over a number of years. She delivers great value on a personal level to the leaders she coaches as well as to the organization as a whole, by helping our executives become both more effective in their role and by supporting their ongoing personal development. Our executives very much appreciate working with her and consistently speak about her high business acumen and great understanding of leadership. They highlight her ability to listen effectively, to build trusting relationships, educate and challenge them to create forward momentum towards their goals. They especially appreciate her integrity, confidentiality, and wisdom. Arjan combines her business and people skills into high level results for our company." "I engaged Arjan to help refocus my professional goals. In less than 5 months, with Arjan's expert guidance, I realized a very positive career move I initially doubted would even be possible. Arjan stretched my thinking, kept me accountable and ensured I lived up to the goals I set for myself. She possesses a unique combination of intelligence, care, commitment, humor, insight, and persistence." "Arjan is an extremely skilled executive coach and organizational strategist. She presents to hundreds of attendees at our iRelaunch Return to Work Conferences and consistently gets top ratings. She has also been a popular and well-regarded coach of our group coaching program. More recently she has taken on an important role with our corporate initiatives. Arjan demonstrates integrity, excellence and an energy level matched by few." "Arjan combines business knowledge with people insight. She possesses profound positive intelligence and superb communication skills. She walks the talk and lives by her principles. Arjan helped me evolve my thinking to successfully navigate complex situations presented by a rapidly growing and transforming business, leadership changes and a take-over. My team and I delivered superior results and I thank Arjan for her guidance." "Arjan’s guidance is direct, insightful and clear. She has a wealth of experience and provides great wisdom navigating complex strategic situations. I was originally hired as CFO and within a year promoted to also take on the COO position. I can’t imagine being where I am today in my career without her guidance." With a global reach, Arjan engages with companies as well as private individuals. She works with clients across industries and in diverse organizations, including Goldman Sachs, Morgan Stanley, Procter & Gamble, Avon, the United Nations, MasterCard, R/GA Advertising, New York Hospital, BlackRock, Pearson Publishing, UBS, Deloitte Consulting, Save the Children, Bank of America, Merrill Lynch, CalAtlantic Homes, Ernst & Young, Citibank, the United States Navy, McCann Advertising, Harman International, and Leo Burnett, among others. Her clients span a diverse range of fields, including financial services, marketing, law, education, consumer goods, advertising, healthcare, retail, publishing, and not-for-profit. Read more about clients. Arjan builds a highly personal rapport with each client and combines a strategic, results oriented approach with a deep level of compassion. Her strategies are based upon the latest research. Through a dynamic dialogue and partnership, she helps her clients develop clearly defined and manageable objectives, create concrete plans, access new tools, and take the necessary steps to achieve their desired goals. She focuses on her client’s distinctive strengths, creates awareness around opportunities for growth and identifies areas for development to advance a client’s full leadership potential. Uniting her straightforward, goal-oriented approach with an intuitive and organic style, she uniquely accelerates and deepens the process of achieving her clients’ vision. Creativity, positive energy, compassion, humor, and a deep knowledge of business environments and career development are hallmarks of her coaching style. Clients look forward to their meetings as a time to reflect and create new thinking. Read more about coaching philosophy. Arjan has more than 20 years of experience in corporate and non-profit leadership positions and 10 years of experience in the coaching field. As an international marketing executive with the HRI Group of Companies, whose brands include Leading Hotels of the World and Prima Hotels, Arjan held global marketing and communications responsibilities, leading an international sales and marketing staff and representing hundreds of hotel properties worldwide. Her marketing and communication expertise is a strength she consistently incorporates in her coaching to benefit her clients in attaining their goals. Arjan earned an MBA from one of the premier universities in the Netherlands, University of Groningen. She received her coaching certification from New York University and is accredited by the ICF (International Coach Federation), the foremost global coaching organization. 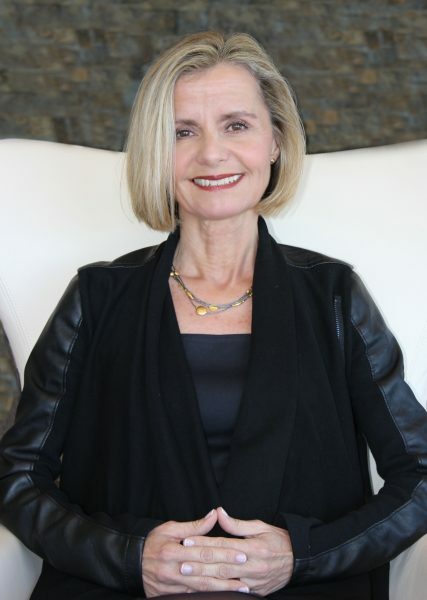 In addition, she has advanced certifications in executive, business and career coaching and is a certified practitioner of many personal and leadership assessment tools, such as the Meyers-Briggs Type Indicator (MBTI I + II), the Strong Interest Inventory, the Hogan Leadership Assessments, and the Clark-Wilson 360. Arjan has a record of contributing to her community. 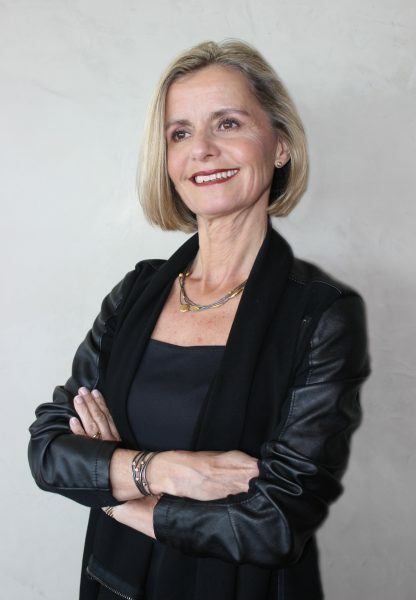 She serves on the Advisory Council for the Stanford University Clayman Institute for Gender Research and its Center for the Advancement of Women’s Leadership. She is co-chair of the Women’s Entrepreneur Network. As a coaching expert, Arjan partners with iRelaunch, a national return-to-work organization, where she is a noted speaker at their conferences at Columbia University and Stanford University and facilitates groups for professionals returning to the workforce after a career break. In 2009, Arjan co-founded Lives in Transition, a career networking and support group in the New York metropolitan area, as a timely response to the economic downturn, helping more than 1,000 people during this challenging phase in the job market. Previously, she served for more than a decade on the New York Board of CASA (Court Appointed Special Advocates), a national organization advocating for the safety and well-being of foster children. She worked with the victims of the September 11 World Trade Center attack and facilitated bereavement groups for children. Arjan lives in Rye, New York with her husband and youngest daughter, and loves the visits of her two college-age children. She enjoys travel off-the beaten path, hiking, kayaking, skiing, tennis, theater, cooking and spending time with friends.